Another chip in the massive Braves-Marlins-Dodgers trade has fallen, and it is lefty reliever Paco Rodriguez from the Dodgers to the Braves. 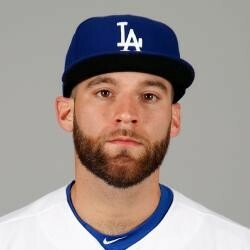 Rodriguez has seen 10.1 innings pitched for the Dodgers in 2015 in which he has posted a 2.61 ERA, 2.40 FIP and a very solid 145 WRC+, albeit in a small sample size. With the massive exodus in the Atlanta bullpen of late, Rodriguez will be a welcome addition. Jason Frasor is currently in line for save opportunities, but is also likely to be traded as well.